Music • After breakup of the popular band, Ed Kowalczyk will perform songs from his solo debut. 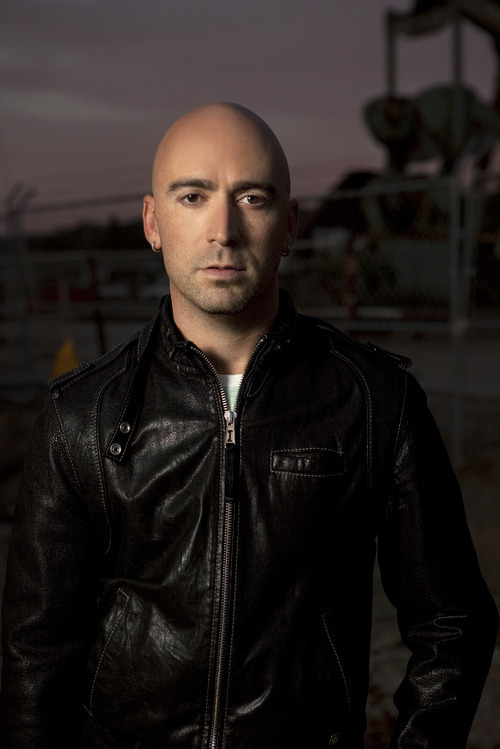 Ed Kowalczyk, formerly the lead singer of Live, will perform in Salt Lake City on June 9. The rock band Live's breakthrough 1994 album, "Throwing Copper," sold 8 million copies in the United States. Songs from the album  "I Alone," "Selling the Drama" and "Lightning Crashes"  were omnipresent during the mid-1990s on radio and MTV. But for some reason, lead singer, co-songwriter and lead lyricist Ed Kowalczyk never became a household name. Maybe it's because his last name was, uh, Kowalczyk. The band had continued success throughout the 1990s and first decade of the millennium, but the quartet of middle-school friends from York, Pa., broke up acrimoniously in 2009. Kowalczyk, now 39, wrote and recorded a solo debut, "Alive," released last summer. The album, which is in the same modern-rock vein as the music produced by his former band, shows a man who has discovered faith. That's a dramatic change from his early songs for Live, which called its first album "Mental Jewelry," a term that was intended as a dismissive stab at religion. "Operation Spirit (The Tyranny of Tradition)," the first single from "Mental Jewelry," found Kowalczyk singing: Heard a lot of talk about this Jesus / A man of love, and a man of strength / But what a man was two thousand years ago means nothing at all to me today. Kowalczyk, scheduled to perform Saturday at the Gallivan Center, answered email questions from The Tribune about his new music, faith and the disbanding of Live. Your third daughter was born about a month ago. Does it get hard to go on the road? Little Cecilia was born in April. I try not to go out for more than a week at a time without a few weeks in between at home. And when I'm on the road, I stay in pretty much constant contact with my family via iChat, FaceTime, etc. Gotta love the technology we have now. How did growing up in York affect the man and musician you are today? In my teens, I couldn't wait to get out of York and see the world. Now that I'm "all grows up" (think Vince Vaughn in "Swingers"), I feel like I've come full circle and can recognize some positive things that I gained from being raised there. Being mostly a blue-collar town, there is a pretty deep work ethic and a kind of built-in discipline to strive to do the best in whatever you do. I work really hard on the road, in the studio, etc., and I really do strive to serve my fans the best shows and albums that I can. I get some of that drive from growing up in York, I think. Any trepidation as you turn 40 later this year? I'm happier and more fulfilled than ever, and I'm in the best shape of my life. If this is what happens when you get "older," bring it! When you perform a solo artist, do you perform any Live songs? My show is a mixture of all of the hits of my work as the singer and songwriter for Live as well as my new solo material. The fans worldwide are unanimously over the top about the new show, the new band and the new material. Much of "Alive" focuses on religious and spiritual imagery. How would you define the role faith plays in your life, and how it has changed from the "Mental Jewelry" era? My faith is a huge part of the inspiration for my music and always has been. I have recently come full circle and have embraced the spiritual path of my youth in Christianity. I took a page from Bono's book, if you would, and tried to make "Alive" a rec­ord that is inspired by my faith but remains an open door to people of every walk of life. I've always felt that U2 does that brilliantly. What is your side of the story about why Live disbanded? Do you ever foresee working with your former band mates again? I had simply come to the end of a chapter in my life and wanted to spread my wings and move beyond what I had been doing, in the same way, for almost 20 years. As far as the allegations that were leveled at me and purported as the reason for the breakup, they were all absolutely untrue. I have no plans to work with those individuals again. The spirit of Live is alive and well in my performances and my new material  come and see for yourself. P With Ed Kowalczyk, Fuel, Royal Bliss and the Codi Jordan Band. When • Saturday, June 11, noon to 10 p.m.